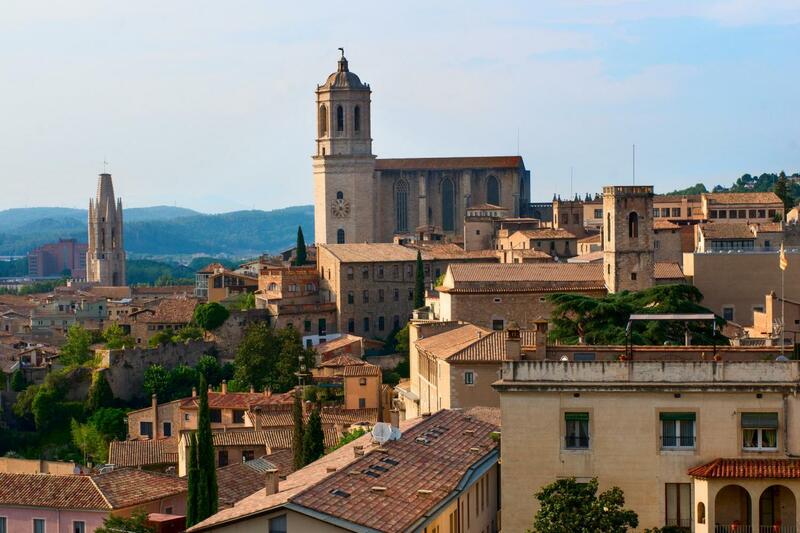 The Cathedral of Girona, built between the 11th and the 18th centuries, is one of the most emblematic symbols of city. 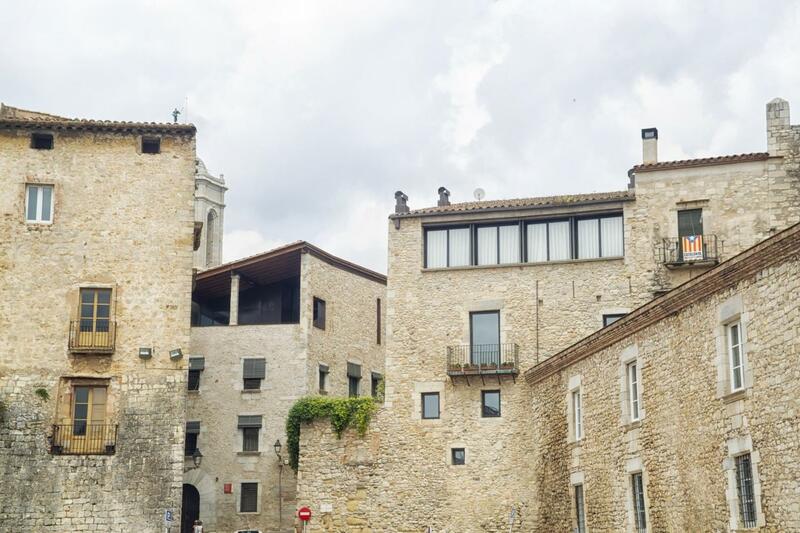 El Call, the former labyrinthine Jewish quarter of Girona, is one of the best-preserved Jewish quarters in the world. 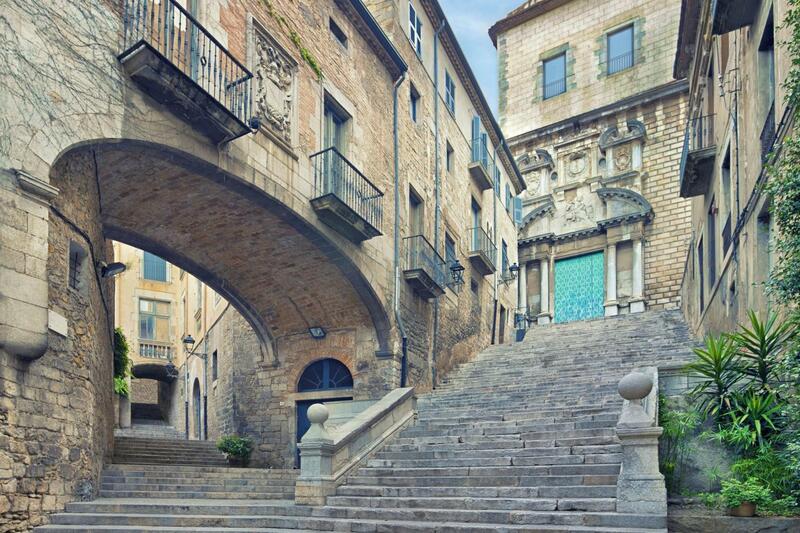 Guided walking Tour in Girona. 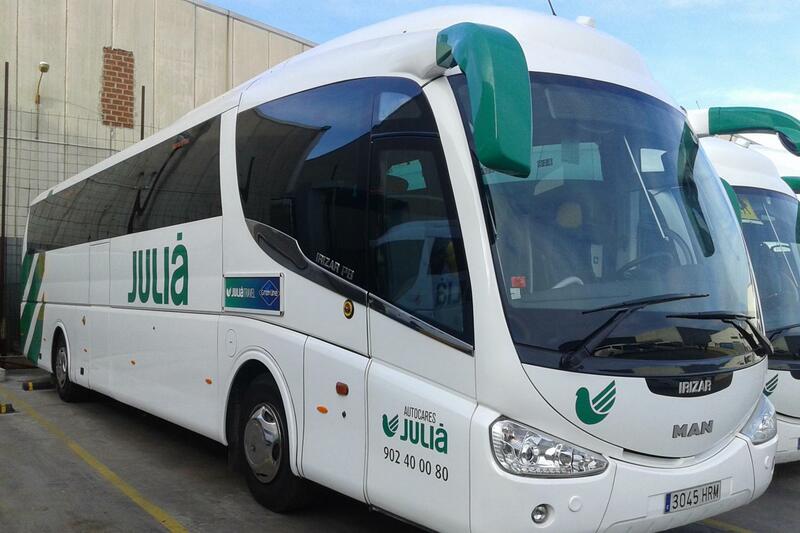 Start your full day trip from Barcelona on a comfortable bus with guide on board. 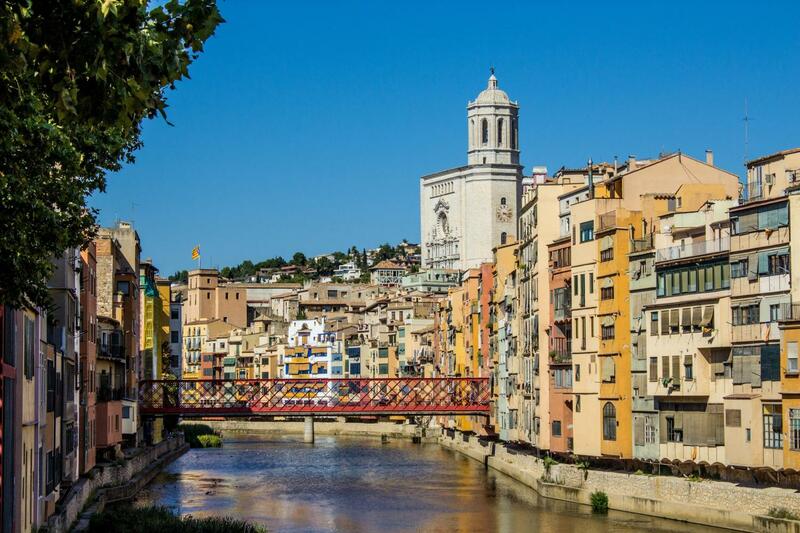 We take you to visit one of the most beautiful cities in Catalonia: Girona. This city has a medieval area with one of the best preserved Jewish quarters in Europe. 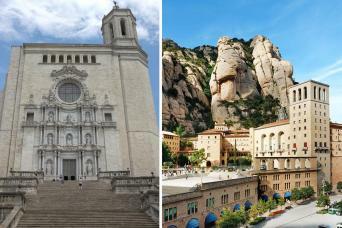 Also it has been the stage for some locations of the sixth season of the HBO hit series Game of Thrones. We find the origins of the city of Girona in the roman period, when the settlement was known as Gerunda, and was located in the Via Augusta. From that time we only preserve part of the city walls. Girona played an important role during the Carolingian period, because was part of the area known as Marca Hispanica, which was a military buffer zone that worked as a defensive barrier between Al-Andalus and the Carolingian Empire. 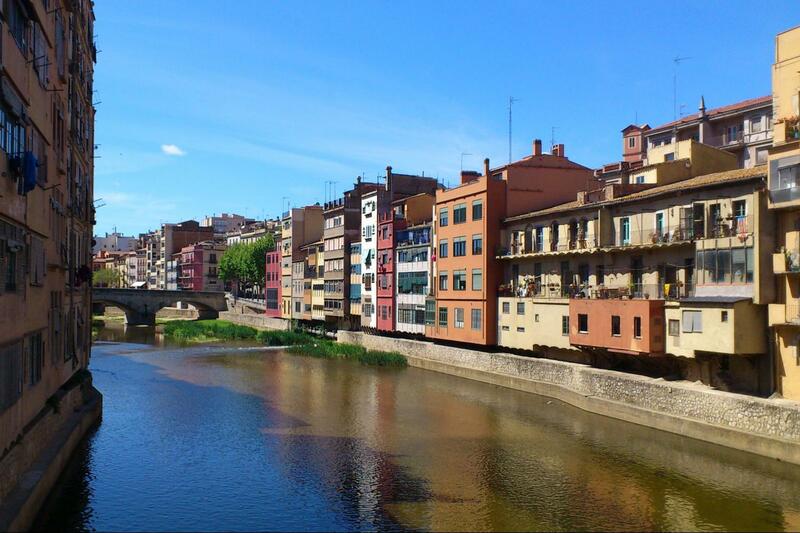 During the XIII century the Jewish community of Girona was at his peak, that is the reason why this city has such an important Jewish quarter. 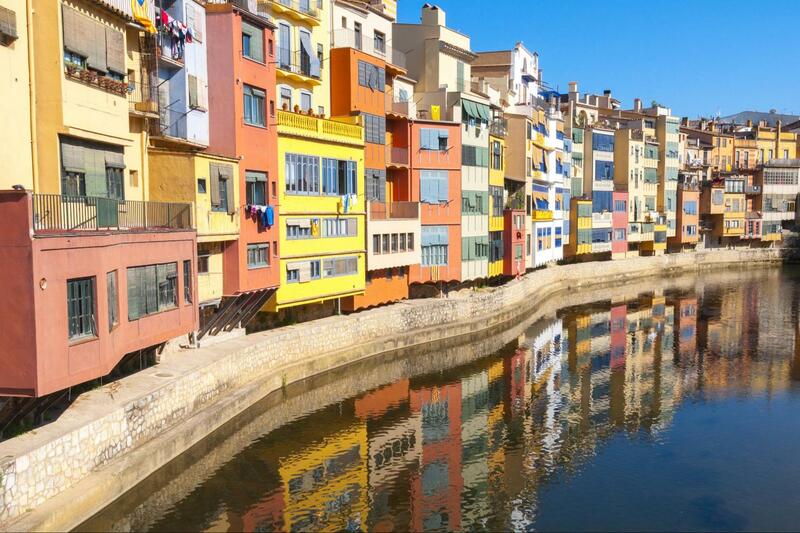 When we arrive to Girona we will do a two hours guided tour in the city center. The way includes almost all the highlights of the old city (the entrance fee of the monuments is not included). 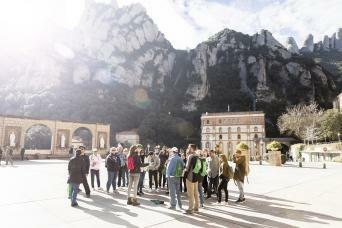 When we finish the guided tour, you will be given one hour of free time to visit de city by yourself. The Cathedral: During the Muslim period, 715-785, the building worked as a mosque. This Gothic church has the second biggest nave in the world, with 22.98 m width, only after Saint Peter Basilica in the Vatican, with 25 m width. The Cathedral is located in the middle of the old city and in the highest part. The City Walls: From the French gardens we can start the way through the ancient city walls. From there we have great panoramic views of the old city. In the narrow streets of the Jewish quarter, the Arabic Baths and the back of the Cathedral were filmed some scenes recreating Braavos with Arya as a main character. 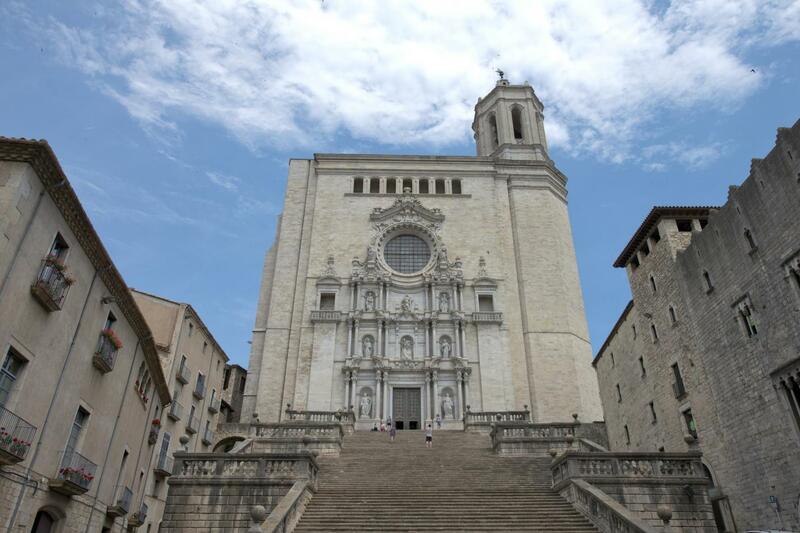 The Cathedral stairs were transformed into the Great Sept of Baelor in King’s Landing, and were filmed some important scenes such as the shame way of the queen Margaery and the entrance of Jaime Lannister on his horse. Finally, in the last chapter of the season, we see how the church of the monastery of Sant Pere de Galligants is transformed into the Citadel Library, where Samwell Tarly goes to became maestre.